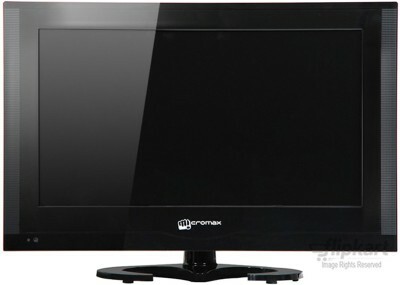 Watch your movies and daily shows in refreshing clarity with this HD TV from Micromax. With an AVEA picture engine and other video features you get an immersive viewing experience complemented by a dynamic sound system. HD Picture With the HD screen you get flawlessly clear visuals that will surprise you. Enjoy every detail of the program you are watching and see characters come to life on this TV. LED Display You get bright and stunning pictures on the Micromax 20B22HD due to the LED technology. It also reduces energy consumption while offering an incredible picture quality. Connectivity Get entertainment round the clock by connecting your audio and video devices like HD set-top boxes and gaming consoles on the TV using the HDMI terminal. Connect the USB devices like flash drives and external drives through the USB terminal and enjoy more multimedia on this TV. Video Quality Enjoy a theatre like viewing experience with the AVEA engine used on the Micromax 20B22HD. This technology enhances both the audio and video experience to give you a complete entertainment. You get bright picture quality with the Zero Bright Dots Clear Panel on this TV. A 6 ms onscreen response allows you to view images that are free from flicker and ghosting, even in fast motion pictures. Whether it’s your evening football matches or action movie night with friends you can rest assured that they will be entertained. Sound Quality Audio from the two built-in speakers are enhanced by the SRS Sound system that offers a surround sound. You experience a theatre like feel with this powerful sound that engulfs you. Adjust the sound and set it in the frequency that suits the program you are watching with the 5 Band Equaliser. Auto Volume Leveller gives you moderate sound instead of the sudden increase in volume when you switch channels or advertisements come on. Energy Saver This device lets you save a considerable amount of energy as it has a low power consumption feature. Now, you do not have to worry about incurring heavy electricity bills even with long hours of watching TV.